Must edge my way back in into blogging after a period of mourning. So here is something provocative. Perhaps President Putin is “making Russia great again” in a way we haven’t thought of. Via Darwinian sexual selection? If this song is anything to go by maybe Putin as a role model will lead to improvement in the Russian gene pool if women start preferring men with his moral and lifestyle characteristics. Or perhaps his influence will operate more quickly by encouraging Russian men to smarten themselves up if they want to find a partner? Is this yet another positive influence Putin has had on Russian life after the disastrous experiences of the criminal anarchy of the 1990s? Or is it a sign that Putin has finally decided to run in next March’s Russian Presidential elections and this is his first campaign song? Whatever – it’s a welcome (and tuneful) change from the usual demonisation of the man we get from our mainstream media. (And I expect to get from commenters here). The “dynamic duo” of science? Well, that’s how someone described them. But I have generally found the discussions between Lawrence Krauss and Richard Dawkins stimulating. I first commented on these almost 5 years ago (see Lawrence Krauss – Richard Dawkins discussion). The media interview is sometimes problematic for the scientist. There’s all the problems of getting one’s message across in a way that the public can appreciate and in the allotted time span provided by news bites. But one problem that really annoys me is the motivated, or dogmatic, journalist. You know, the one who has an ideologically motivated picture of your science, has probably already written the headline and conclusions, and is just trying to get quotes to fit their prejudices. In this respect I have mentioned Suzan Mazur before (see Self-exposure – a journalist out of depth and Suzan does a mini- Monckton). Well she has surfaced again, and again the creationist/intelligent design echo chamber have latched on to her. They are making a lot of her interview of Dr. Maggie Turnbull, a freelance Astrobiologist who does some contract work for NASA (see Is Life an “Artificial Category”? for the interview and At NASA, Another Crack in the Darwin Consensus? for the misrepresentation of the interview). Suzan Mazur:You’ve indicated that the laws of life are being drawn too narrowly, saying you “mentally resist” defining the parameters of life because so far we only have one example of it — life on Earth. You’ve also said that “as scientists we always want to categorize everything, but is it possible that it’s just a continuum of a one-based system?” Would you expand on those comments? Maggie Turnbull: It’s a very human tendency to want to put things in categories: This is alive and this other thing is not alive. But those categories are artificial. The Universe does not know anything about those categories. We want to be thinking in terms of a continuum. That continuum can be along whatever parameter — different behaviors, different relationships with other parts of the system. But defining life as a category — as something in a box and whatever is outside the box is non-life — will continue to produce exceptions. By some definitions, a human would not even be considered to be alive. If only one human were in a box in space, there’d be no way that human could reproduce. A single human would in that instance not fully qualify as a life form. Even though categorizing things according to specific characteristics is useful for organizing human thought, it will never allow us to describe the whole system. We need to get over our obsession with defining things as living and non-living. Suzan Mazur: NASA’s official definition for life is no longer still limited to “a self-sustained chemical system capable of undergoing Darwinian evolution,” is it? Maggie Turnbull: All I can say is, if NASA has an official definition of life, I don’t agree with it, and neither does life. 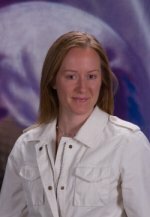 Suzan Mazur: Would you know if NASA is still financing and otherwise supporting research pegged to the Darwinian model? Maggie Turnbull: I don’t know exactly what you mean by “pegged to the Darwinian model.” NASA supports research in genetics and in mechanisms that allow for survival in extreme conditions. It’s really all about our collective desire to investigate things and the technology catching up as well as our understanding of how the Universe works. Scientists in many ways are their own worst enemies. There’s so much disagreement in the scientific community because of all the objectives being pursued simultaneously. Often the result is a loss of focus. Scientists end up rehashing the same questions and the mission disappears. For example, the mission concept I’ve been developing the past few years is one where most of the technologies are now available and it’s a matter of organizing those technologies to demonstrate that they can be effective in combination to observe Earth-like planets around nearby stars. Not far-away stars like with Kepler, but the stars you can see with your naked eye. In order to do that we need a more collective agreement that we’re going to invest in such a mission. Suzan Mazur: Funding of origin of life research is increasingly a contentious issue because there’s a schism between the neo-Darwinists on one side and on the other many of the evo-devo scientists, symbiogeneticists, geologists, mechanical engineers, natural scientists, cognitive scientists, linguists and others. Would you comment? Maggie Turnbull: I don’t know much about it. I’m really an astronomer at heart. My focus is on the stars. I have very simple objectives when it comes to finding habitable planets and whatever the biologists want to say about the evolution of life is fine with me. At the end of the day though nothing matters until we find it. Suzan Mazur: Until we find what? Maggie Turnbull: Until we find life on another planet. Suzan Mazur: So you don’t think that much about origin of life issues. Maggie Turnbull: I think about origin of life, but personally I’m more interested in exploring other environments and finding out whether there are life form systems there. Evolutionary biologists would get a lot out of that search as well. I’m looking for the variety of life in the Universe. Suzan Mazur: How much of science would you say is social momentum, i.e., not objective? Maggie Turnbull: I would say a lot of it is social momentum because science is about a community of thinkers. By thinkers I mean scientists as well as non-scientists. Because when the American public is keenly interested in something, it is much easier for Congress to make the case for funding it. What scientists want, however, often does not concur with what the public wants. I don’t mean to be harsh in saying this, but the truth is that when scientists want to do what they want to do, they try to sell it as something the public should care about. It takes so long to get a PhD and to build a career in science. Once that’s achieved, a scientist is hemmed-in as far as what they’re expert at and able to work on. A scientist can’t easily reorient their research just because the American public wants to study something else. So scientists try to persuade Congress to pay for the research they want because that’s what they know how to do. Scientific progress thus is 99% a wait for consensus. Currently the Discovery Institute (intelligent design headquarters) is working hard to spread these questions and answers through their creationist internet silo. But you have to wonder why – because Suzan Mazur does tend to discredit herself with her questions, doesn’t she? Here’s an interesting video – a discussion between Richard Dawkins and Lawrence Krauss at the Australian National University recently. It really only took place because both speakers were in Australia for the recent Global Atheist Convention in Melbourne. I think this endorse a point made by one journalist that such conventions do have important spin-offs. Of course there are economic ones – and this convention, which attracted over 4000 participants, would have brought tourists and money into Melbourne and Australia generally. That’s why governments actually help fund events like this. But this journalist was also talking about the intellectual and cultural benefits the convention brought to the country. The in the country inevitably leads to other events – TV interviews, debates, lectures and discussions like this. This contributes to the intellectual and cultural life of the country. Just look at how many people there were in the audience. it is gratifying to see top rate scientists creating such interest and drawing such crowds. The format of the discussion. Richard Dawkins has for some time expressed disappointment in the debate and moderated argument format. He repeats his reasons at the beginning of this video. Consequently he has undertaken a number of unmoderated discussions along the lines of this one. Personally I think they are successful – and much prefer them to debates which can end up as just glorified verbal boxing matches. I welcome readers thoughts on these formats. I look forward to such an unmoderated discussion where the participants have stronger difference. I like to think it could be successful. What do you think? Thanks to: Richard Dawkins and Lawrence Krauss in conversation at ANU | The RiotACT. Darwin Day is this weekend so I thought I should do a couple of relevant posts. Here I want to comment on a popular reaction to evolutionary science by mainstream Christians. I am referring to the regular church-goer or adherent who will claim they accept scientific knowledge – not to creationists or similar people like the adherents of intelligent design who actively campaign against, or deny, this knowledge. Often these Christians accommodate the science and their religious dogma by describing their beliefs as “theistic evolution.” I have never understood that term. Evolutionary science is evolutionary science – one doesn’t go tacking on your ideological adherence. Are we going to have Marxist thermodynamics, conservative chemistry, libertarian zoology, etc? No, of course not. Science is science – it is informed directly by reality, not religious belief. So I have always assumed that people who claimed belief in “theistic evolution” were simply saying that they believed in a god and also accepted evolutionary science. But now I am not so sure. I recently heard a Christian speaker declare his acceptance of evolutionary science and claim it did not conflict with his religion – because he believed the evolutionary process was guided by his god! This description brought home to me that he did not accept evolutionary science – because that science explains evolution of life on earth as an unguided process. The only “guiding” is in the process of natural selection – involving the environment and interaction with it. The unguided nature of evolution was the great discovery, the revolutionary nature, of the ideas proposed by Darwin and validated against reality. It seems to me that to re-insert a guiding hand, as some of these “theistic evolutionists” appear to desire, is definitely throwing out the baby. Its like claiming to accept Newtonian mechanics, the laws of planetary motion, etc., and then claim they result from angels guiding the planets! That is complete reversal of science – a negation of the modern scientific revolution. OK, I recognise that some people who all themselves theistic evolutionist are not saying this. They may simply mean that the accept evolution is a natural unguided process but occurrence within the nature created by their god. Well, good luck to them – my beef is with those who want to impose a divine guidance on evolution. To rewrite the science. Now – this is Plantinga’s claim, not mine. I am happy to see Christians like Ken Miller who accept and teach evolutionary science truthfully. 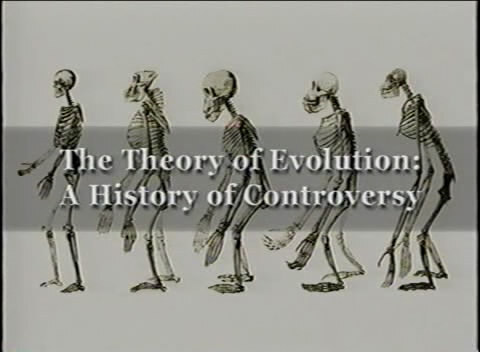 That accept the evolutionary process is unguided – despite the myths in the holy books. But Plantinga is asserting that one cannot accept evolutionary science, which is unguided, and be a Christian! As if these experts are somehow misrepresenting the science. Of course they aren’t. However, Plantinga is. He is trying to reintroduce a pre-scientific concept, divine guidance, into a modern science. He is attempting to portray scientific experts as somehow the rebels in this situation. He in fact is attempting to rewrite the whole nature of evolutionary science – as I said to throw out the baby. And what does he do to put a pseudo-scientific gloss on his distortion of science? He refers to biochemist, and promoter of intelligent design, Michael Behe. To his use of the argument from ignorance – that he cannot see how anything as complicated as a living cell could possibly have resulted from an unguided process! Bloody hell – he relies on Behe and ignores Darwin and all the other scientists, biologists, biochemists, evolutionary scientists etc. Is that extreme cherry picking or what? It’s amazing what a bit of motivated ideology and some mental gymnastics can do to the honourable subject of philosophy.